Dr Rodney Maliphant, a leading figure in educational psychology training in the UK, died peacefully on 20 December 2017 in Exeter, surrounded by his family. During his long life, he communicated a passion, interest and enthusiasm for professional psychology that has had an enduring influence on generations of educational psychologists, who remember him with affection and esteem. Interpersonally, Rod was genuine, warm, humorous and encouraging. Rod’s journey into educational psychology contributed to his broad, tolerant perspective. He left school at 16 during the war and served as a flight mechanic and then a meteorological assistant with RAF postings in India, Sumatra, Malaysia and finally Germany. Prior to demobilisation he succeeded in obtaining a place in the college that was to become Exeter University on the basis of university matriculation exams taken 8000 miles away. There, he completed an honours degree in psychology in one year – an astonishing feat and a financial necessity. His academic successes continued, and in 1953 Rod joined three other would-be educational psychologists on a postgraduate diploma course at University College London. His first post back in Devon was a national first too, uniquely combining work with education and children’s services. Rod then moved on to the role of Principal Psychologist in an approved school in Bristol, confirming what was to become a long-term professional and research interest in the dynamics of juvenile delinquency. Returning to UCL as a member of staff, his greatest contributions came during the period 1975–1986 as Director of the MSc (Educational Psychology) professional training course. Rod’s publications over the next two decades indicate his influence in several important areas. For example, his article ‘Testing, testing, or will it be fine tomorrow?’, published in 1974, placed him in the vanguard of the ‘reconstructing’ movement that was gaining momentum in professional educational psychology at the time. Always a voice of reason and moderation, he argued against excessive and inappropriate use of psychometric testing that appeared to serve the needs of test users rather than their clients. He ensured that the trainees on his programme were equipped both with the skills to administer cognitive ability tests competently and with the capability to critically evaluate their validity across a range of practice contexts. Rod acted as a principled and constructive external examiner to many university departments nationally and as a committed supporter of international links with universities in the USA and New Zealand. He worked as an editor for the BPS Bulletin (forerunner of The Psychologist) and the Journal of Child Psychology and Psychiatry. His committee work ranged from the Home Office, to BPS bodies, to key school governor posts. He retired from UCL in 1986 and returned to his South West roots, living in Exeter not far from the church where he had first met his wife Hazel, decades earlier. He was a committed family man and now enjoyed the time that he could spend with Hazel, his children and grandchildren. Despite retirement, Rod continued his contributions to educational psychology. 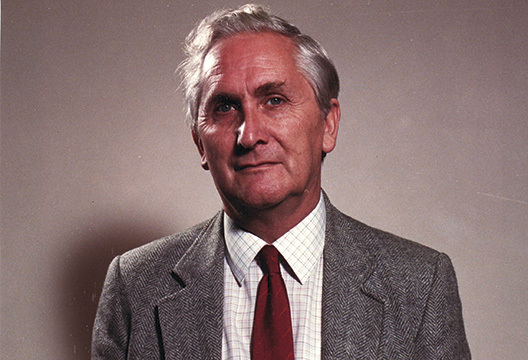 His last publication in his 88th year reflected his twin interests in professional training and practice in educational psychology – a sympathetic evaluation of Cyril Burt’s legacy to the profession. His own most memorable legacy arose from the personal qualities that made him a hugely influential role model. He was wise, warm and an excellent judge of character. Rod was politically astute but also ethical and pragmatic. He remembered everyone that had trained in his time and maintained an interest in their progress – both professionally and personally. Without question, he made his mark and will be greatly missed.